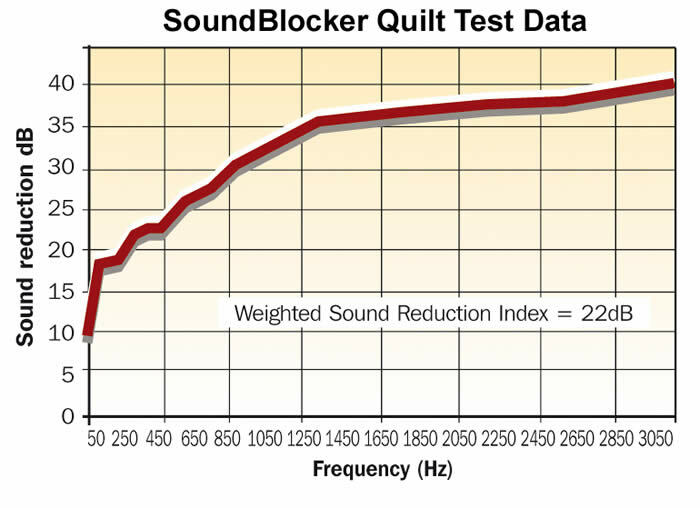 SoundBlocker Quilt Plus is compress packaged sound insulation that is ideal for hassle free installation. It contains 60% British wool, 30% recycled polyester and 10% polyester binder with a high-recycled content. The convenient compressed rolls of SoundBlocker Quilt Plus reduces transport impacts by nearly 50% compared to other alternative sound insulation. Once unpacked, it regains its original thickness to provide excellent thermal and acoustic insulation. SoundBlocker Quilt Plus is harmless and can be installed without gloves or protective clothing, although we recommend you wear a dust mask in enclosed spaces such as lofts. It can be used in conjunction with a vapour permeable underlay if required to retain the benefits of water vapour absorption and release, Protect the insulation from prolonged exposure to sunlight when unpacked and avoid wetting for extended periods, store under cover and clear of the ground. Lengths of SoundBlocker Quilt Plus can be cut down using a straight edge and a Stanley knife. For more accurate cutting, tightly compress or clamp the insulation beneath a solid piece of timber.